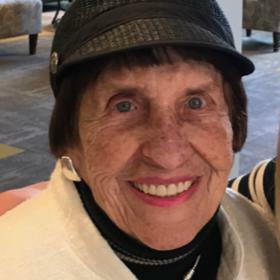 Mary Lou Hemmes Koop, 93, of Hamilton, loved people, had a multitude of friends, and lived her life in the power and strength of her Lord and Savior, Jesus Christ. Born March 19, 1924 in Grand Rapids to Rudolph and Mary Riekse Hemmes, Mary Lou graduated from Central High School and Hope College, where she was a member of the Sigma Sigma sorority. Her Hope loyalty was lifelong. She and her late husband Harvey received the Hope Distinguished Alumni Award in 1979. The Koops were charter members of Hamilton’s Haven Reformed Church. Mary Lou faithfully served as an elder and was involved in women’s ministries on the local and denominational levels. 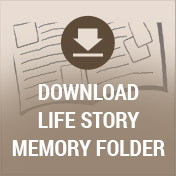 She was a member of Holland Women’s Literary Club and its Music Appreciation Group. Her husband of 54 years preceded her in death in 2001. Blessed to carry on her legacy are her children: Mary Lynn Arwady, Brian and Cathy Koop, Barbara and Carl Folkert, and Janet and Roger Brondyke. Of the hundreds of young people who called her Grandma Koop or Gram-Gram, the following were proud to be her actual grandchildren and great-grandchildren:Mary Allison Arwady; Carrie and Mike Traver (Greta, Amelia, Anders, Soren); Kate Folkert and Erin Overmeyer; Libby and Matthew McKinley (Claire, Reece); Meredith and Allin Kahrl; Sarah and Chris VanDeven (Clara, Carter, Elsa, Ingrid); Kristin and Tony DeJarnatt (Emerson); Rand and Erin Arwady (Andrew, Alexandra); Tim and Sara Folkert (Asher, Canon, Alaia); Bradley and Alexandra Brondyke (Ella); Jonathan and Betsy Koop (Brecken, Iver [deceased]); Abigail and Mark Hodges (Isaac, Grant, Juliet); Cara Brondyke. Four more great-grandchildren are expected within a month. She is survived by Robert and Marilyn Koop, and a wonderful extended family. 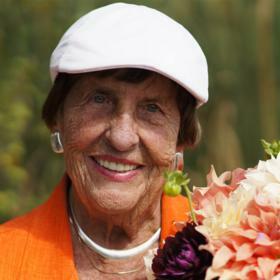 She is also survived by her very special friend, Raymond Lokers, and her dear “sister,” Connie Boersma. She was preceded in death by her husband, her sister Virginia Laug, and great-grandson Iver Koop. Visitation for Mary Lou will be Wednesday, March 14 from 4-7pm at Dykstra Funeral Home – Mulder Chapel, 188 W 32nd Street in Holland. A memorial service will take place on Thursday March 15, at 2:00pm at Haven Reformed Church, 4691 Oak St, Hamilton, MI. Memorial contributions may be made to Haven Reformed Church, Hope College, or Western Theological Seminary.